Dine with us and you can help support the campaign that connects kids with nutritious food to lead healthy active lives. 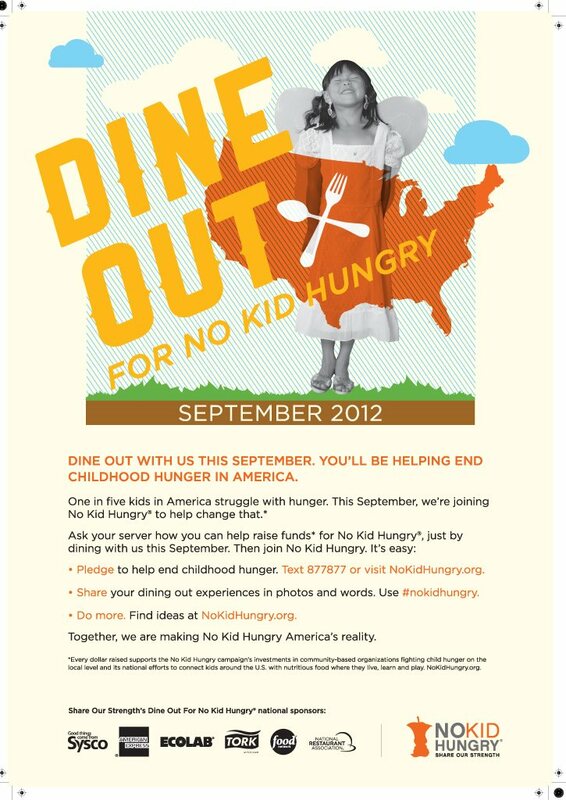 We will be collecting donations for No Kid Hungry. For a donation of $5 or more, receive a free appetizer (up to $15 value) on your next visit. Expiration date: October 12, 2012.